Since 2006 we’ve been adding new features into JibberJobber to make this a powerful tool for you. Whether you are here for job search, career management, networking, or managing your business, you’ll find reasons why JibberJobber is the right tool for you. Want more more peace of mind (and less anxiety) in your job search? Want to know when you should follow-up, so you don’t miss opportunities? Organizing your job search means knowing who you talk to, who you need to talk to, where you apply, when to follow-up, who you want to apply to, when you applied somewhere, which version of which resume did you submit, how to contact someone (which email or phone number), etc. JibberJobber is a tool that helps you stay organized in your job search. Managing your job search means being in control of what you are doing, instead of just reacting to circumstances. You organize your data, but you manage your activities and your relationships. 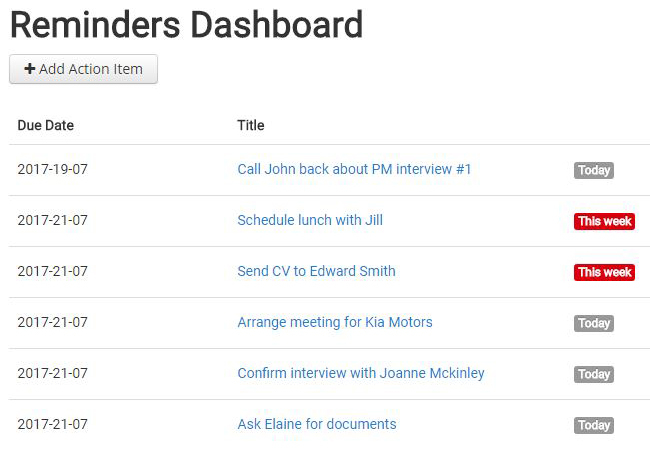 JibberJobber can help you know who, when, what and even how when it comes to managing. When you organize and manage your job search, you are in control. You aren’t reactive and whimsical. You are prepared, strategic, and purposeful. Want to be that job seeker? You need JibberJobber to help you. Networking is a big part of your job search, but meeting so many people in a job search is overwhelming and can quickly become information overload. JibberJobber’s networking tools help you keep track of who you meet, how you met, what you talk about, what you should follow-up about, when you should follow-up, and the complex relationships between your contacts and target companies and jobs you are interested in. Every job seeker should have a list of target companies they are strategically working on networking into. 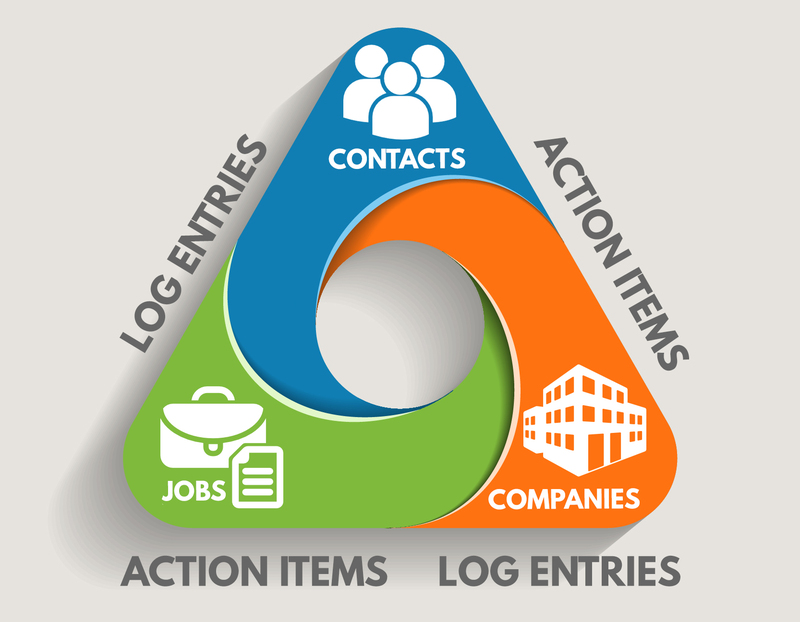 How do you keep track of every touchpoint you have with a company? It gets confusing and messy, and as time goes on you miss opportunities that would have gotten you closer to your next job. Since 2006 we have been writing blog post and articles, and creating videos and courses to help you with job search, networking, career management, and even entrepreneurship. You can read about personal branding, multiple streams of income, interviewing, using LinkedIn in a job search, informational interviews, and much more in our learning center. The How To section of the blog details how many features in JibberJobber work. 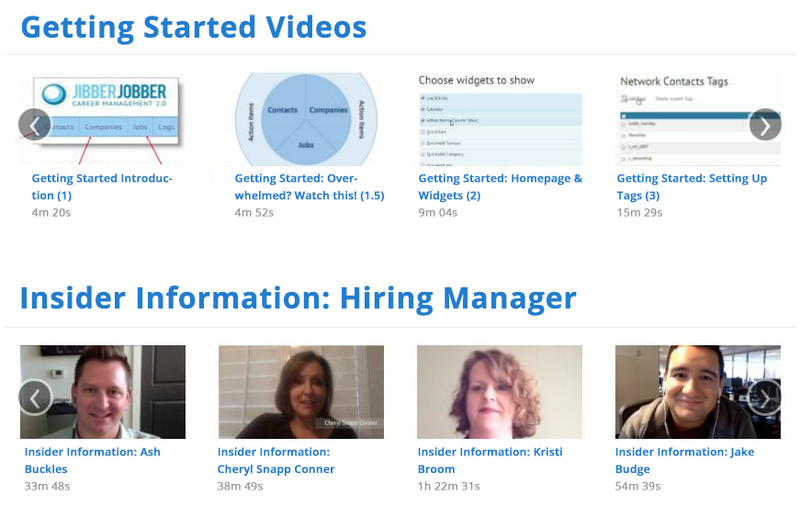 The Getting Started section of the Video Library helps you get up and running with JibberJobber features. Use JibberJobber to help your organize and manage your job search, and learn with us as we explore today’s career management strategies and tactics.